Home / Blog / “Onshore” Mats are available here in Perth! “Onshore” Mats are available here in Perth! “Onshore” Mats are available here in Perth! Limited numbers so get in quick as they are selling fast! 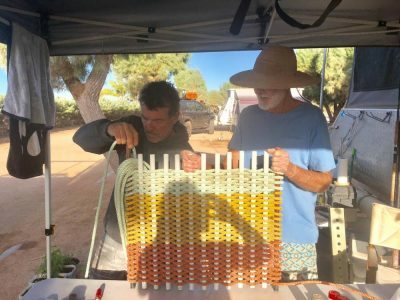 Tim and Pete are old mates who love the ocean and when there’s no surf…they’re making mats and baskets from recycled cray pot rope! These two local legends from Dunsborough and Yallingup are dedicated to making good use of recycled cray pot rope that inevitably will have ended up as non biodegradable landfill. I recently spent a few days hanging out with these guys and I was so impressed with the products that I insisted on having some to sell here in Perth. I’m a big fan of supporting locally made products and even better when it’s made with heart and soul. So… if looking for last a minute chrissy present? 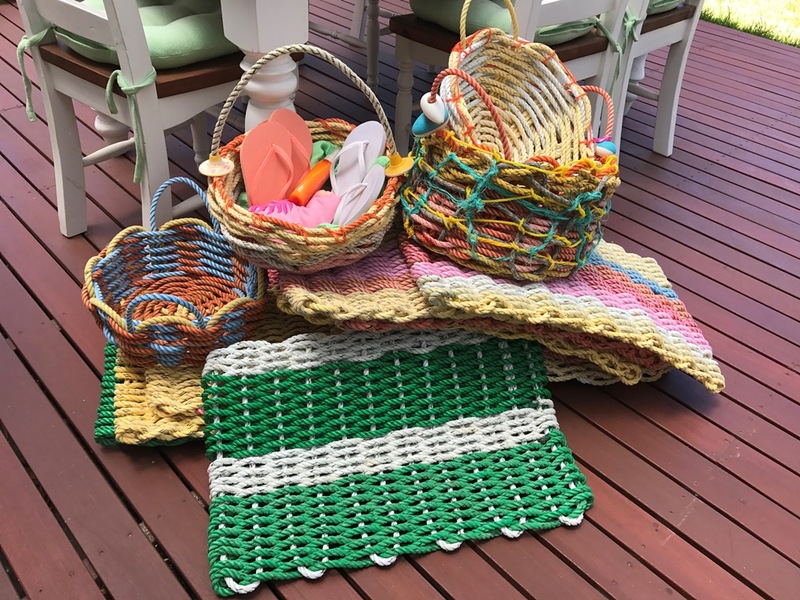 You can’t go past these really cool indoor/outdoor beachy mats and baskets!